Are you an oenophile? An oenophile is someone who has a true love of wine. 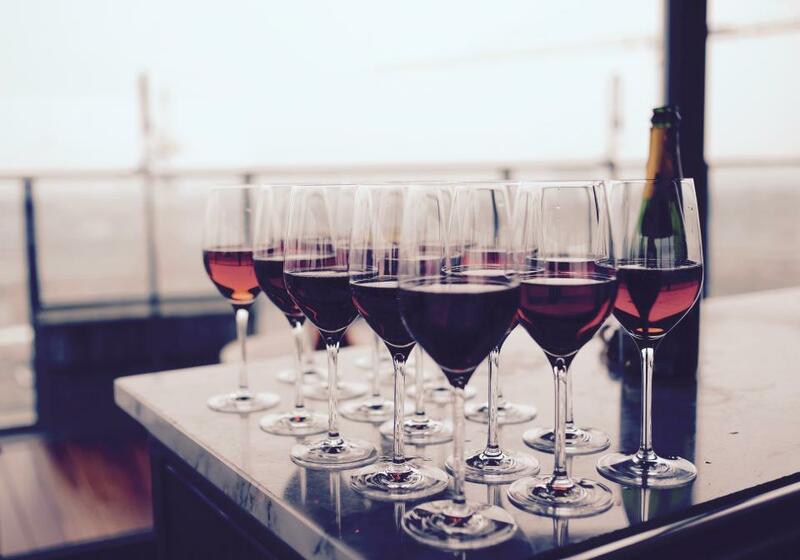 Whether you’re new to wine tasting, a seasoned veteran who can rightfully claim the ‘enthusiast’ title, or you’re at the far end of the spectrum and the oenophile label applies to your obsession, you’ll find exactly what you desire in the Downtown Las Vegas wine scene. Read on to discover the best places to grab a glass of wine in DTLV.Fremont street is the ideal place to savor a glass of your favorite wine. Several restaurants and bars offer patio-style seating that delivers a front row vantage point for some serious people watching and wine drinking. Container Park, an innovative shopping, dining, and entertainment venue in the DTLV area, offers several outdoor seating areas throughout the top and bottom levels that are inviting and ideally suited to both adults and kids.The Arts District is home to several eateries and bars that serve a nice selection of wines – plus, many of these locales are situated right over hot spots like Charleston Boulevard or Art Square. Bar+Bistro is a nice spot in DTLV that offers a huge patio area that can accommodate live music acts on the weekends, which is right when they offer their Sunday Hangover Brunch. Mingo’s in DTLV is another great spot and it is situated right across from the Brett Wesley Gallery. Sidebar is located right next to the Mob Museum and delivers an appropriate speakeasy feel, handcrafted cocktails, a full wine list, and small plates – all in an intimately-designed space.Other great venues in DTLV include The Wineyard, which is located right at Fremont and 6th street, bin 702, tucked away discreetly in the center of Container Park, and Park on Fremont, offering an eclectic menu of food and drink options – including several wine varieties, right on S Las Vegas Blvd and Fremont Street. Finally, our own Omaha Bar is open 24 hours a day and is located right on the casino floor, if you don’t want to go far. A refreshing white wine is the perfect complement to a hot streak on the tables. To truly experience an incomparable wine list, you’ll want to make a reservation at Oscar’s Steakhouse, a favorite of hotel guests and outside visitors alike. In addition to select glasses of wine being offered at 50% off during our daily happy hour, Oscar’s Steakhouse is also launching a Local’s Night every Wednesday, starting Oct 26, with 50% off all wine bottles for local patrons.Regardless of where you choose to sample your favorite glass of wine, rest assured that DTLV is the place to be to discover exciting new food, drink, and entertainment offerings. Raise your glass, and toast the renaissance that is happening in the downtown Vegas.